Apple has launched new iPhone 6S & 6S Plus devices with more new innovations. Live Photos is one of the amazing feature that comes with new devices. This is an entirely new way to bring still photos to life with unforgettable memories. Actually, Live Photos feature is ONLY available with the latest iPhone 6S & 6S Plus devices which released recently. But if you are with older device, no need to worry about that. Now you can get Live Photos for your device also using the Cydia apps like PhotosLive. What is Live Photo introduced with iPhone 6S & 6S Plus ? Simply it is a moving photo. This allows users to see short bits of animation in their still images. The photo that captured with the movements & sound of the moments just before & after it was taken is called Live Photos. New 3D Touch technology is used to the activate & view Live Photos in iPhone 6S/6S Plus devices. A brand new Cydia tweak which is available in the Cydia apps store. 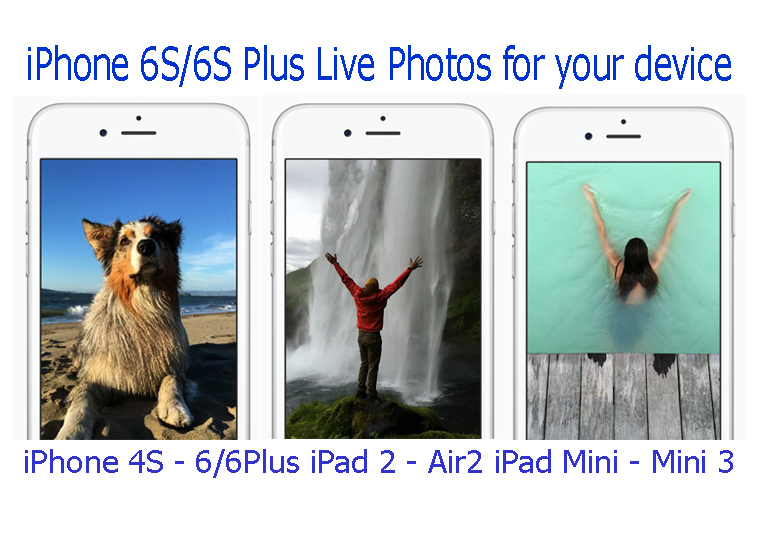 This can activate iPhone 6/6 Plus only feature – Live Photos for your older iDevice also. How to get Live Photos for your older device? Using Cydia, you can easily enable Live Photos for your iOS device. The new jailbreak tweak is now available in the Cydia apps store for get Live Photos on unsupported devices. The name of the tweak is PhotosLive. If you have already jailbroken your device just open Cydia, search for the PhotosLive and install it. That’s all, then you can record your unforgettable memories in a photos and see an amazing way as never before. First you have to install Cydia on your device to get Live Photos. If you need some help to Cydia install, follow bellow links..
How to take a Live Photo with “PhotosLive” Cydia app? Launch the Camera app and ensure that the Live Photos is enabled. If you can see yellow Live mark in the app screen that indicates Live Photos is enabled on your device. So, now you can take a Live Photo. Just capture a photo, the PhotosLive will automatically create your live photo. If you cannot see LIVE mark on the camera screen, just tap on the PhotosLive toggle top on the screen closer to the “HDR” to enable it. Also you can codifier PhotosLive through the Settings App. To do that, Open Settings, navigates and launch PhotosLive. There are several options to configure as capture duration, front flash settings and more..
How to view the Live Photo? To view Live Photos, tap & hold on the photos that you have been taken. Then you can see the animate it. Live Capture of photos for older devices running iOS 8, as natively demonstrated on iPhone 6 and 6 Plus devices. Front Flash for take Selfies. Can be used any Live photo to set as wallpaper, transfer, share , print etc. Can Set any Live Photo as Lockscreen wallpaper and it animates when you touch-and-hold your Lockscreen. You can Share Live photo as animated GIF image. LIVE Badge can appear on the photos to let you easily identify them. Automatic Album Creation to store all your PhotosLive in PhotosLive album. Can adjust the duration of live capture (ranging from 0.5 seconds to 3.0 seconds). Optimized Size of the live data. The Original Apple’s Live Photo is captured with the sounds. So, when you see a Live Photo, you can hear sound also that record at the time photo was taken. But, the sound is not included the live photo which is taken with Cydia’s PhotosLive app. This is the main difference. Apple’s Live Photo implementation uses a actual short video. But Cydia’s PhotosLive app uses series of photo frames to make a live photo. You can send PhotosLive live photo to other unsupported devices as a animated GIF. But Apples Live Photos can only be shared as regular photo for non iPhone 6s & 6s Plus devices. The regular, full-resolution photos sizes range from about 1.5 to 3 MB. So, PhotosLive photo size range from about 2 to 4 MB. Apples Live Photo takes twice as much storage space than regular photo. This is an amazing way to get brand-new features for your older iOS devices. Therefore we can say PhotosLive is a great & must wanted app which is newly available in the Cydia apps store. So, are you ready to get new iPhone 6S/6S Plus only features for your device also…?? 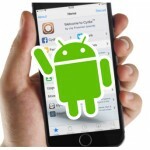 ‹ Pangu9 claims iOS 9.0 – 9.0.2 jailbreak with Cydia – Is this Real?